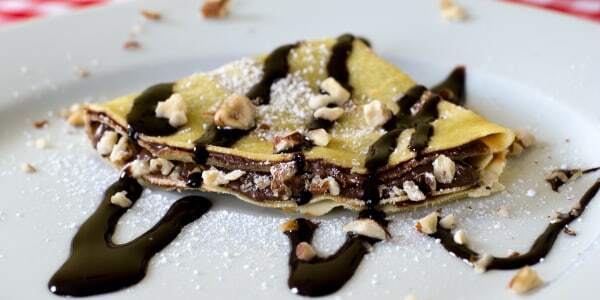 Make your Valentine's Day dinner even more romantic with butter poached lobster, pan-seared steak and chocolate-filled crepes. 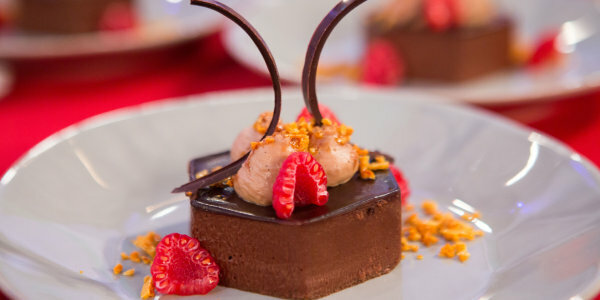 Chef Michael Gulotta is joining TODAY Food to share a few of his favorite romantic recipes for a delicious Valentine's Day dinner. Whether your sweetheart prefers seafood or is a meat-lover, Gulotta has you covered. 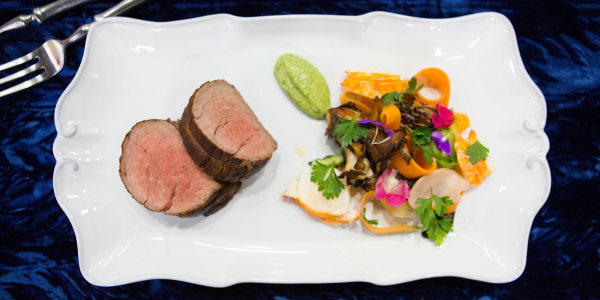 He shows us how to make a decadent lobster poached in butter with passion fruit salad, a seared rib-eye steak for two and sweet crepes filled with a chocolate-hazelnut spread, topped with bourbon whipped cream. 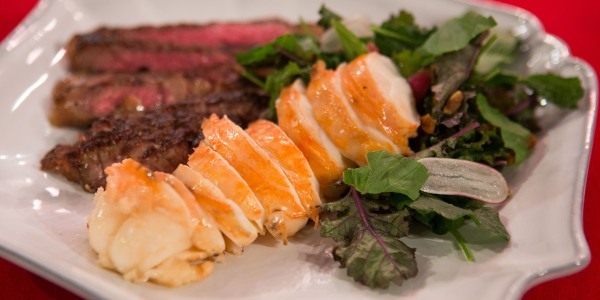 It may seem a little intimidating, but there is no better way to impress your date than to serve home cooked lobster. This dish is luxurious, but it's still light and refreshing. If your loved one isn't a big fan of seafood, you can also serve this delicious dish with a succulent steak. End your Valentine's Day meal on a sweet note with delicate crepes stuffed with chocolate-hazelnut spread and topped with blood oranges and bourbon-scented whipped cream.